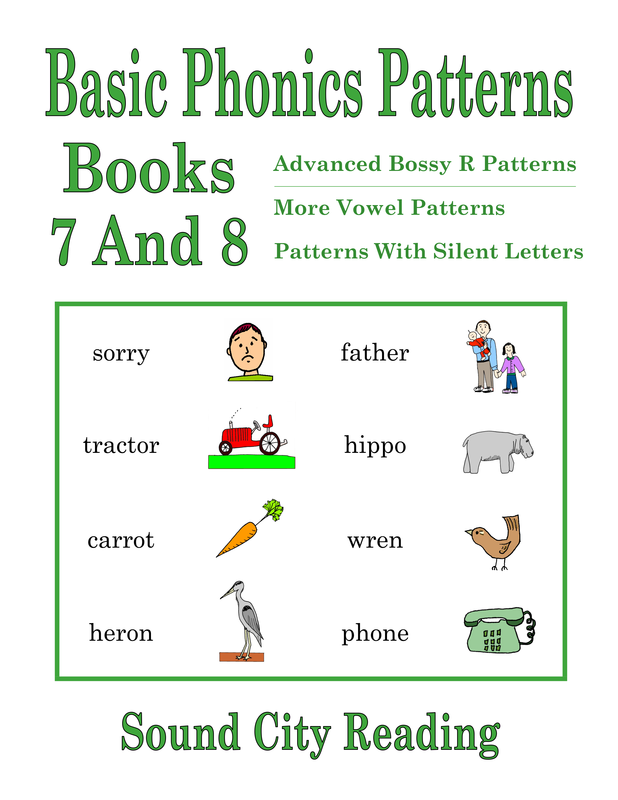 This section provides an overview of the Basic Phonics Patterns books. 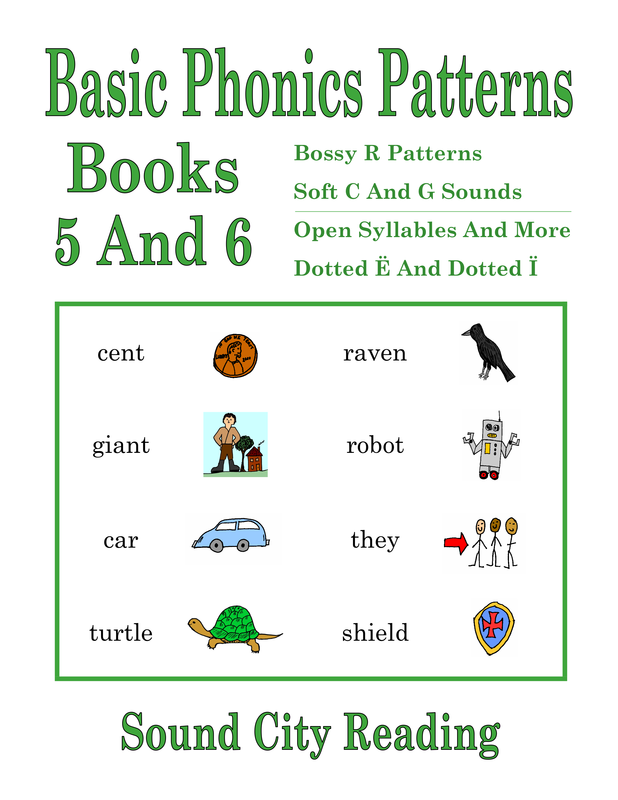 To download the PDF files for these books, look under the PDF FILES menu heading, go to PDF FILES - BOOKS BOOKS LISTED BY LEVEL on the sub-menu, and then click PDF FILES FOR LEVEL 4 - PHONICS PATTERNS BOOKS 1-8. Or, for a shortcut to that page, click here. 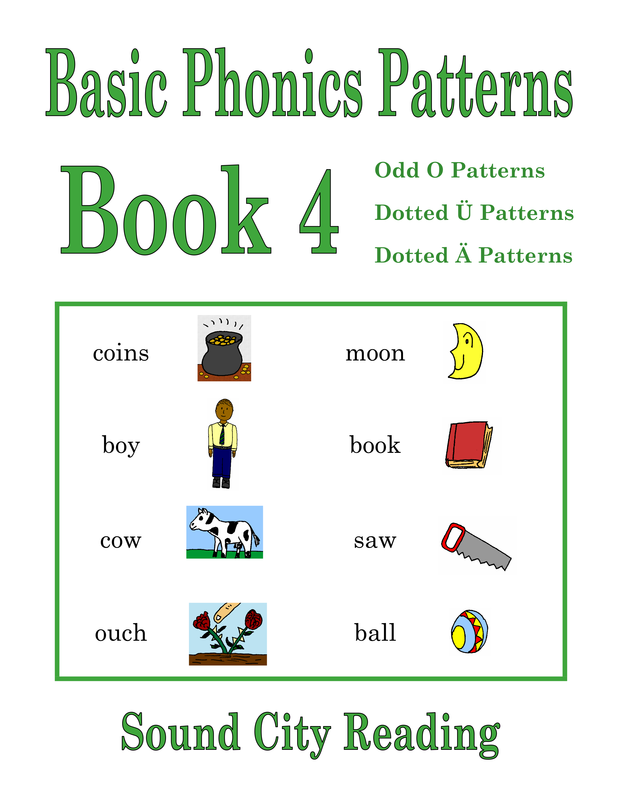 The Basic Phonics Patterns, Books 1 - 8 have all black print. The word lists usually contain more than ten words. Each word is illustrated, with a small picture directly beside the word. There are also a few sentences for students to read as they study each new pattern. Students read the same short practice stories, but the words are not color-coded. Sound charts are included at the beginning of the book. This set of books works well for students who are able to decode new words comfortably. With the longer word lists, the addition of sentences, and all black print, the books provide a greater challenge compared to the Phonetic Words And Stories books. 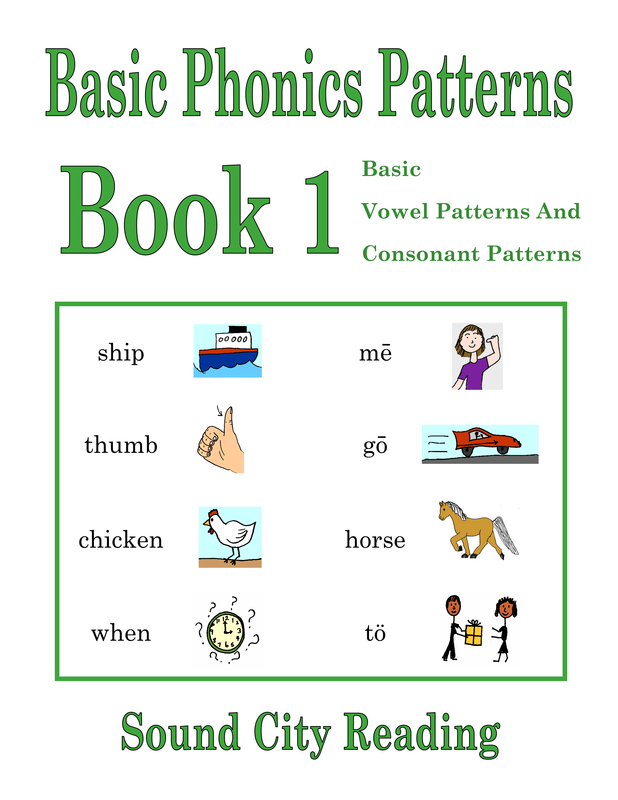 The Basic Phonics Patterns books can be used for initial instruction or as extra practice after students have been introduced to the patterns in the Phonetic Words And Stories books. Because they are printed in all black print they can be easily copied for take home reading practice pages. 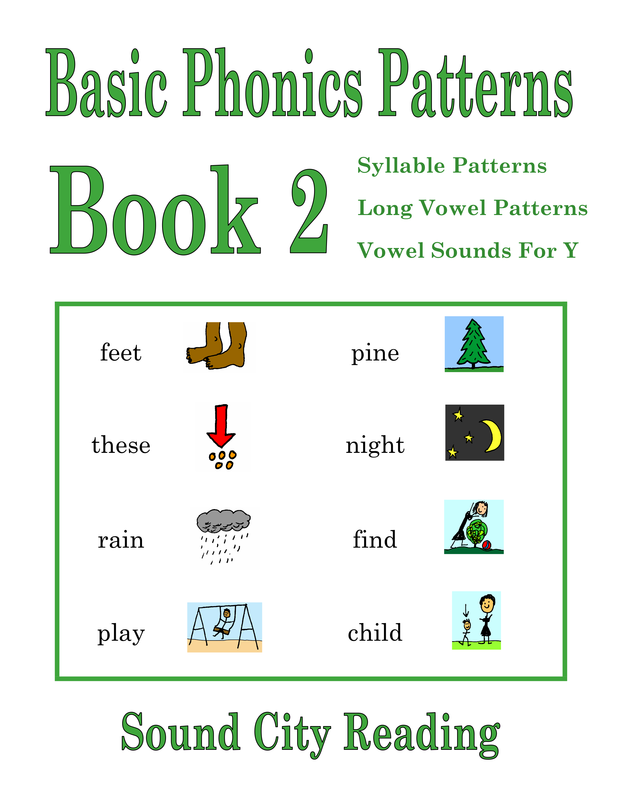 It would work well to use Phonetic Words And Stories, Books 1-8 to teach first graders the basic phonics patterns necessary to begin reading, then use Basic Phonics Patterns, Books 1-8 as a review at the beginning of second grade. Because the print is smaller and all black, these books are more economical than the larger color-coded Phonetic Words And Stories books. 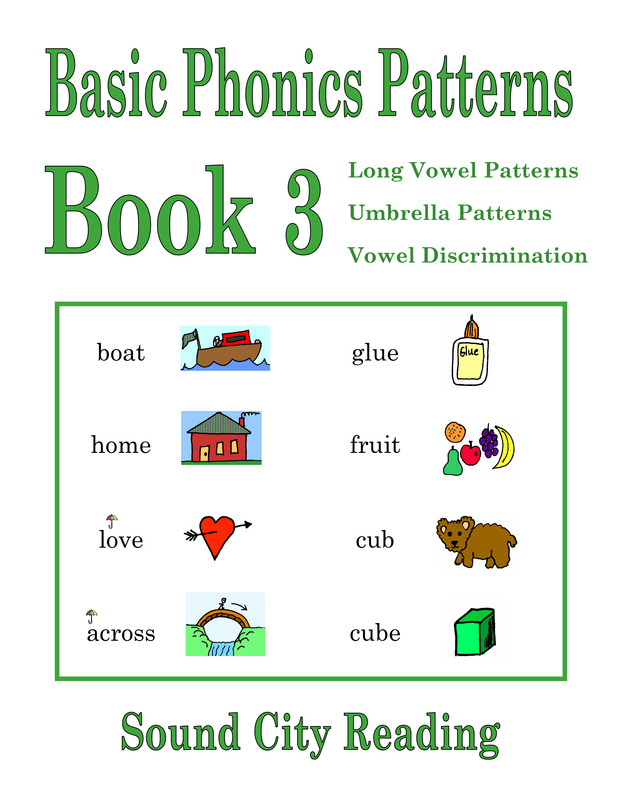 If you are on a tight budget, in many cases you could substitute the Basic Phonics Patterns books for first grade instruction.